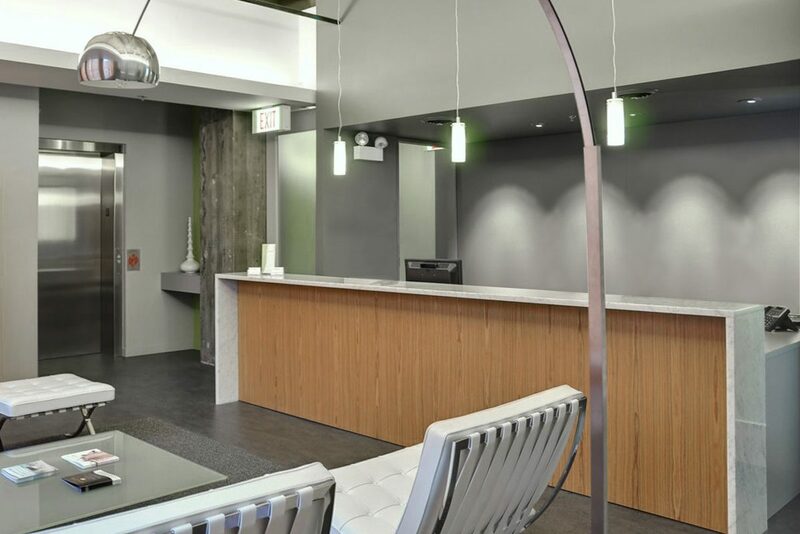 Located in the South Loop neighborhood, the project combined the technical program of a medical dermatology office with a modern aesthetic to create a spa atomosphere. 4 procedure rooms are supported by reception, patient changing areas, recovery rooms and staff offices. Perimeter circulation allows patients and staff to move through the space privately. 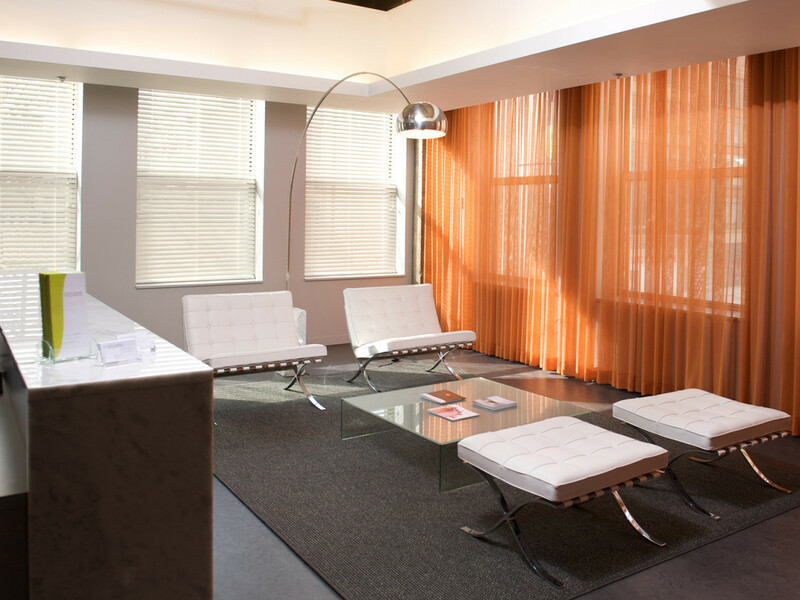 An intentionally muted palette was brought to life with brightly colored fabric walls. 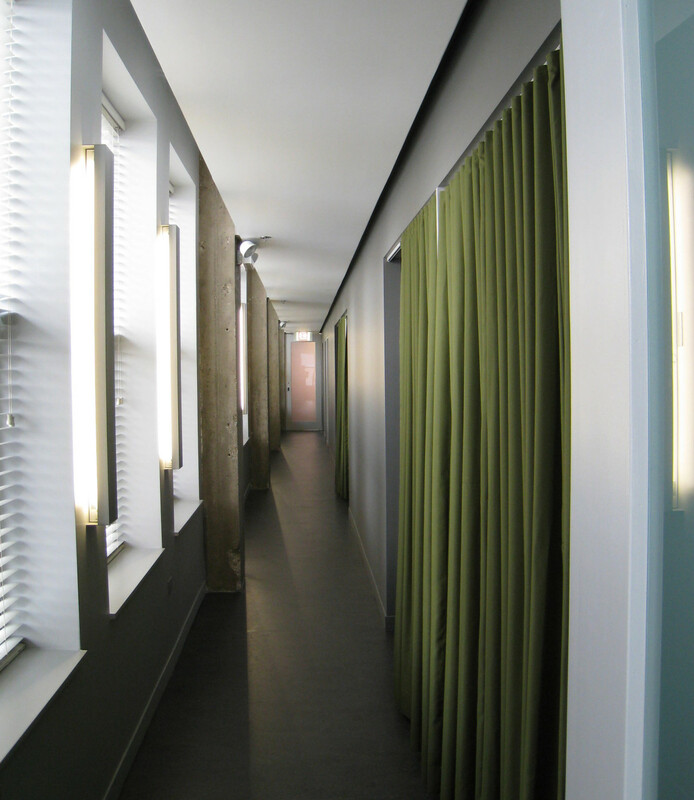 Changing in color and material, from sheer to beaded stainless steel, the fabrics help provide privacy and continuity to the cellular spaces.